Last week I saw, and enjoyed, the PBS American Masters about Carole King. (It's online at the PBS site, if you're interested.) 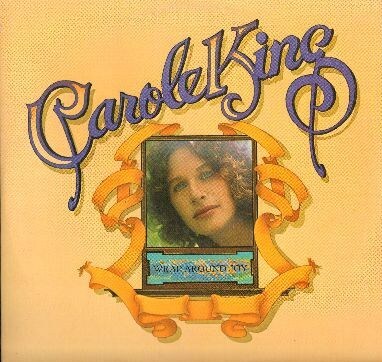 I have always loved singer/songwriter music, and Carole King is one of my favorites. Her life is very interesting, especially the Brill Building years when she wrote music for many major 1960's artists. My favorite song by Carole King is from the 1970's. "Jazzman" was released in 1974. It has a great (not surprising!) jazzy feel, cowritten by David Palmer (Steely Dan), with saxophone solos by Tom Scott. "Jazzman" made it to #2 on the Billboard charts, and was nominated for a Grammy, although it lost to "I Honestly Love You" by Olivia Newton-John. This song makes me happy. It is one of those songs that really takes me back to being very young in the 1970's, and it has that retro-but-timeless sound. Do you remember this song? What is your favorite song by Carole King? I'd love to hear from you in the comments, below. This song is a bit before my time! But I love the song. When I think of her, I don't think of a specific song, but of seeing her play piano on tv. She seemed so connected to the music, like it was part of her.